Orcish Shamans are the guardians of orcish magic. Respected among orcish tribes, they form the Orcish Council, which makes important decisions for the whole Orcish community and arbitrates the many conflicts that arise between tribes of this argumentative race. Although physically weak (for Orcs), Orcish Shamans are good spell casters and can curse their enemies, draining their life. 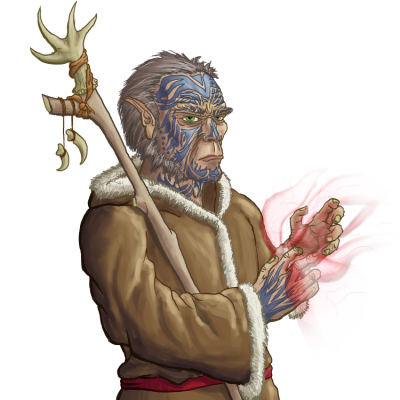 Old Orcish Shamans are shamans that have mastered magic, although their physical strength has declined with age.